Well we are getting so close to the end of this wonderful #auroraquiltsewalong. Week 7 is here and for those who have been keeping this up with the schedule then you have a bit of planning to do, for those who need to catch up then you have this week where you can keeping making progress with your Quadrants. 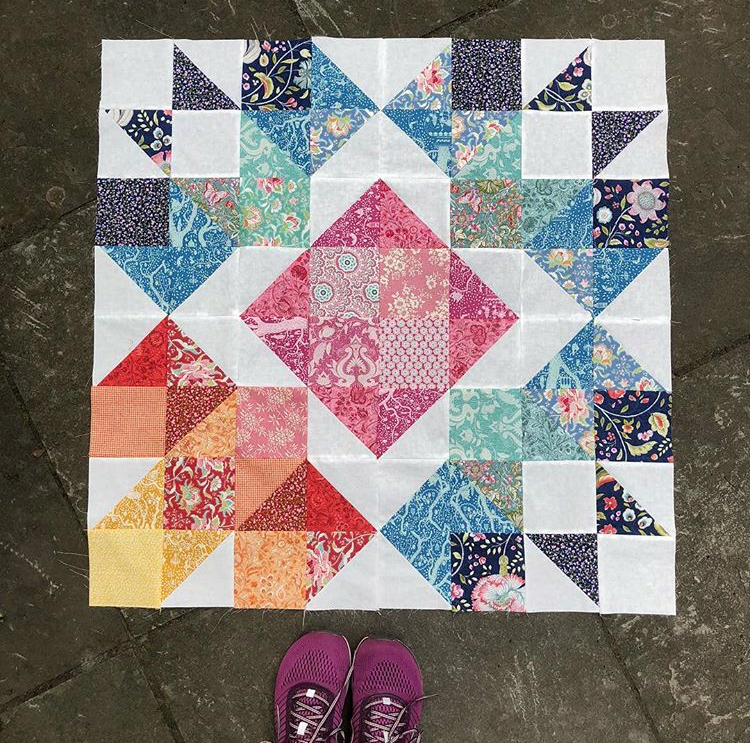 I am so in awe of the Aurora Quilt tops that are being made - truly they are each so amazing and I love how you have made them your own with your fabric and colour choices. If you have put together your four Quadrants then it is time to start to think of how you would like to finish your quilt. 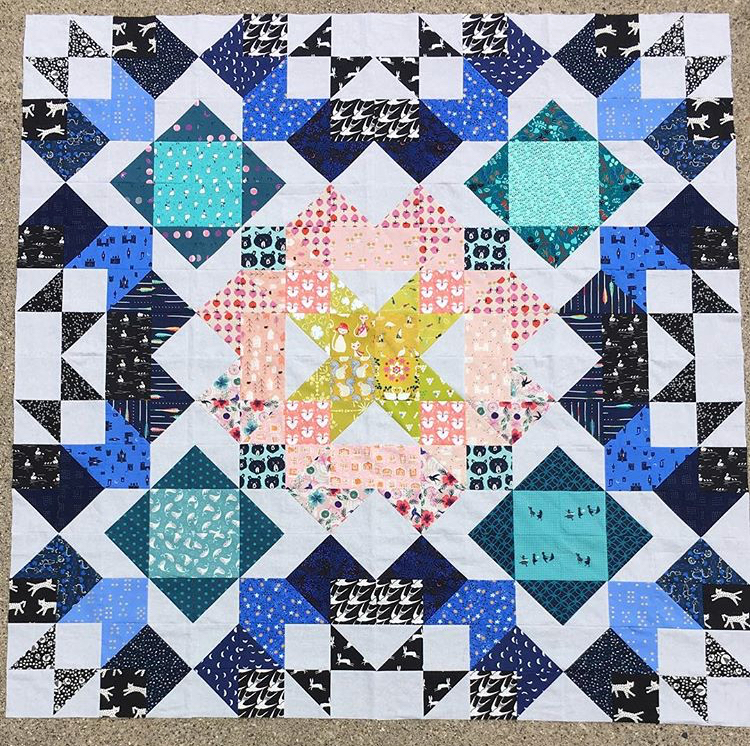 Would you like to Machine Quilt it or are you thinking you may like to Hand Quilt your Aurora Quilt. 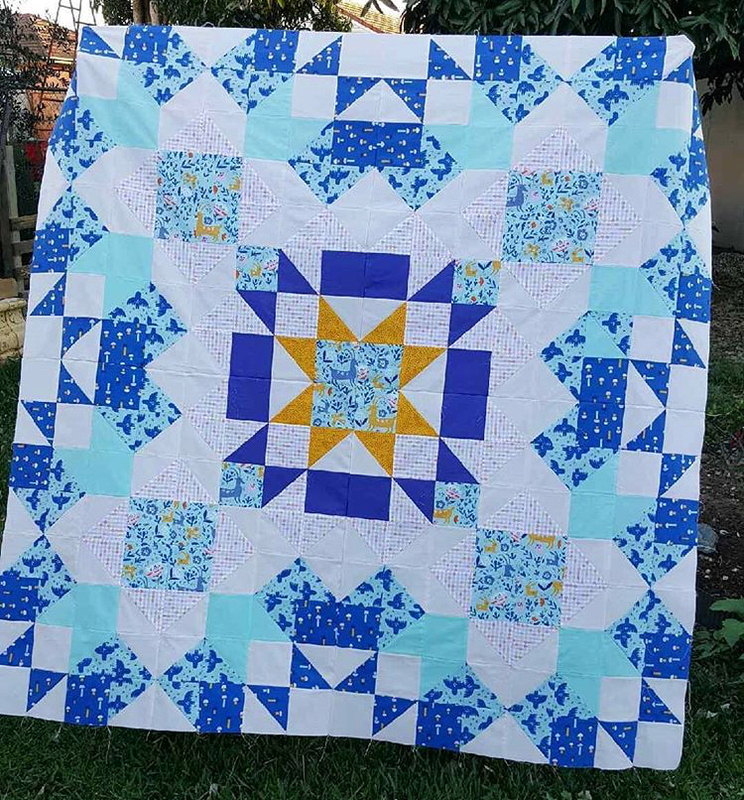 Hand Quilting - if you are thinking you would like to Hand Quilt your Aurora Quilt then here is a blog Post I wrote with some hopefully helpful hints on this technique. Sending it out to be Long Arm Quilted - if your planning on sending your Aurora Quilt out to be Long Arm Quilted by a professional it is always a good idea to chat with them first about if they have any special instructions for how they like the quilt to be delivered to them. 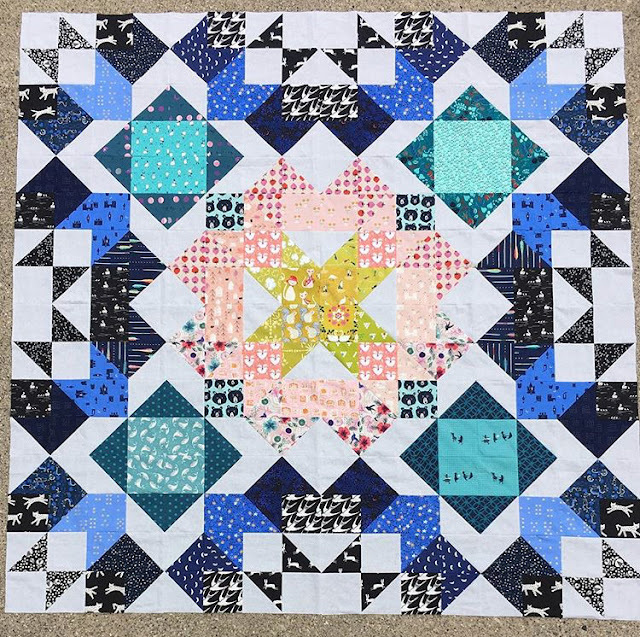 My Quilter, Carol from The Quilting Cottage asks that the Backing and Batting be at least 4in bigger on all sides than the Quilt top. 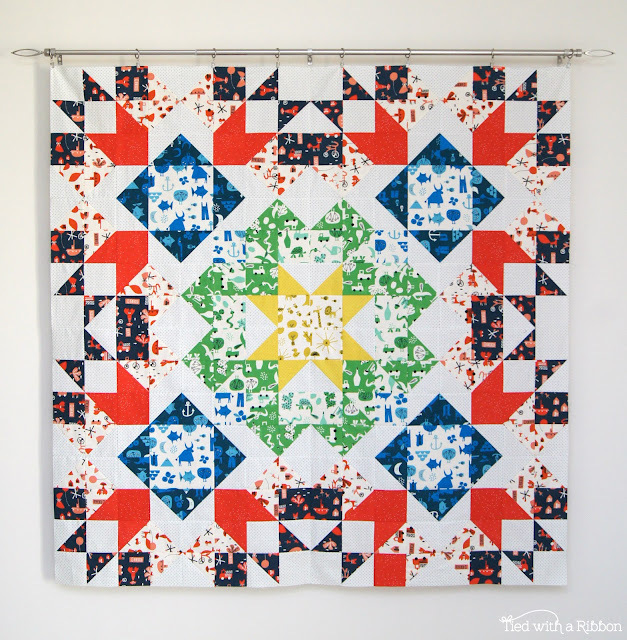 The Quilt top, Batting and Backing can be packed up into a bag ready for quilting - it does not need to be pinned or basted. I don't think of the back of a Quilt as "just the back". There are lots of ways you can make your back look just a s spectacular as the front. You might want to head to your Local Quilt store and choose from their selection of Wide Backs. These are fabrics usually 108in wide which mean they will fit your quilt without having to piece them together. 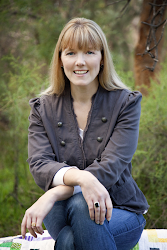 They come in a wide variety of colours and are usually cost effective. Another option is to piece together two pieces of fabric 42in wide that may match the fabrics on the front. Or maybe you might like to sew together lots of pieces of fabrics to make your backing. This is called a "Pieced Backing" is a great way to use up leftover fabric or fabrics from your stash that work well with your chosen quilt top fabrics. 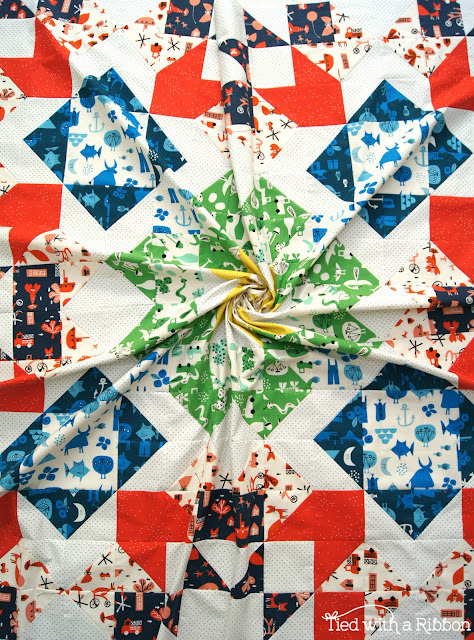 Start to think what you might like to use for the binding once your Quilt has been Machine or Hand Quilted. 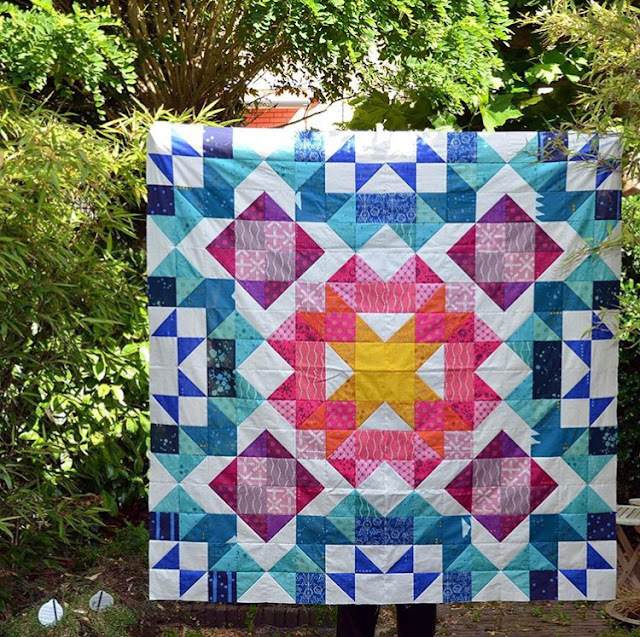 You will need 1/2yd or 45cm for the Aurora Quilt. 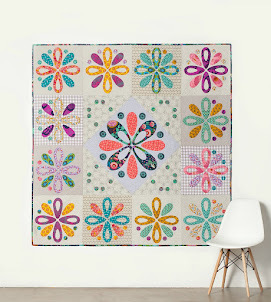 Choose a fabric that compliments with your chosen fabrics from the Quilt Top. 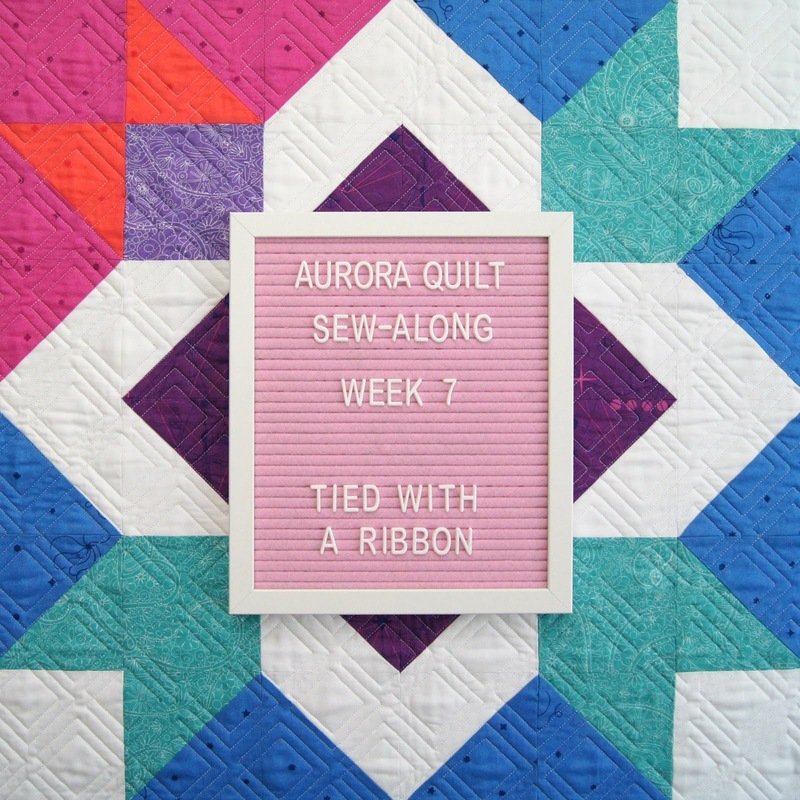 To be in the running to win these Aurifil 12wt Threads make sure to post your progress to the #auroraquiltsewalong and #auroraquilt hash tags. Make sure also to tag me @tiedwitharibbon in your post to make sure I see it. 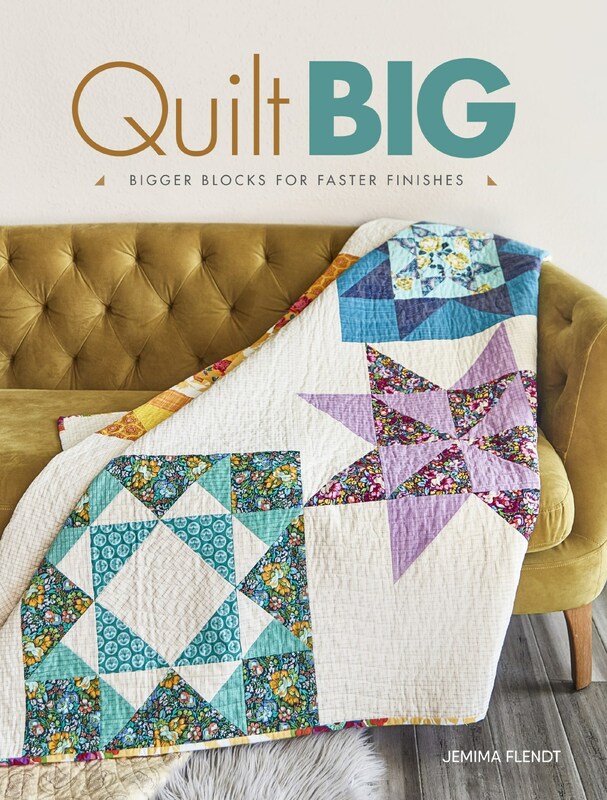 Great tips on the quilting, thank you! 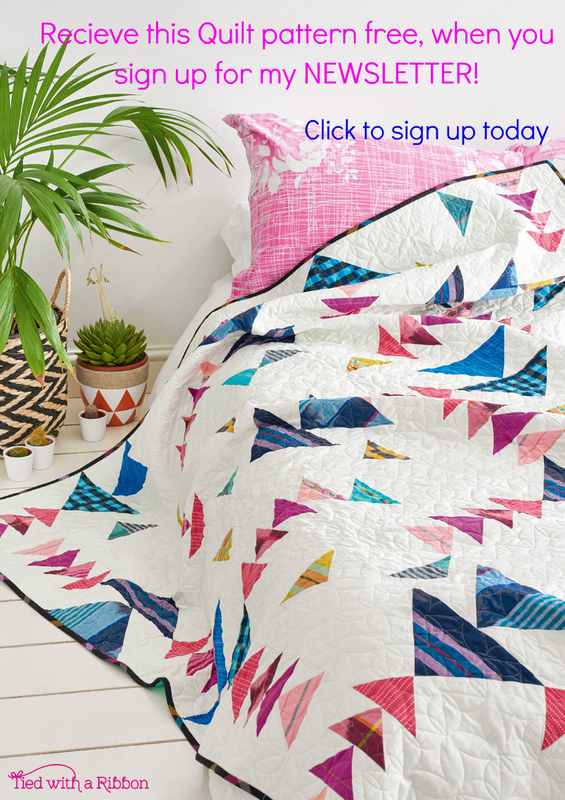 Such fun to see my quilt-top featured as inspiration! Thanks!